The first trailer for the new season of Legend of Korra is finally upon us. Let’s take a close look at these latest revelations! 00:01-00:31 The first 30 seconds of the trailer give us the title of the Book, which is “Spirits.” Though we already know this, the trailer gets off to a great visual start featuring one of the bending circles in a great animation style. Because it’s blue, the circle is reminiscent of the spirit world, which is fitting of course. 00:32-00:33 A brief look at Tenzin and Korra as they meditate. Judging by the rest of the trailer, they are probably entering the Spirit World together. 00:34-00:38 Next we see Unalaq performing some waterbending moves in the middle of the night, probably in the North Pole. Unalaq is Korra’s uncle and the chief of both Water Tribes. 00:38-00:40 Here we see Korra riding Naga in what appears to be a parade. It’s at night, so the parade is probably for her arrival, and the scenery suggests that this is the North Pole, explaining the crowd being celebratory. 00:40-00:41 The same scene cuts to Korra’s father, giving more evidence to this being the South Pole, but he has a somber look on his face as he looks on the parade. He is the only familiar face we’ve seen in this scene. 00:42-00:43 Hey, it’s Asami! And she is crying for some reason. Another clip from Comic Con shows us a brief glimpse into the first episode, where we see Asami being told that Future Industries is going bankrupt due to her father’s crimes, and it’s up to her to save the company. There’s no indication whether that’s what she’s worried about here, though. 00:44-00:46 The animation style changes here, and we see Wan for the first time. From what we know so far, Wan is the first Avatar who lived 10,000 years ago. He became the Avatar by being the first human to travel to the Spirit World. In this scene, Wan is wearing a dog mask and is fighting two warriors. One of them looks like a sumo wrestler crossed with a samurai. The scenery is very reminiscent of oriental art, kind of like the video game, Okami. In the fight scene, Wan makes quick work of his opponents using a spear. 00:46-48 Here we see Korra and Mako (I think it’s him) riding a plane into a blockade. Asami is probably the pilot. We now know that dark spirits aren’t the only obstacles Team Avatar will have to overcome this season. What’s troubling is that these look like the ships from the United Forces, led by Bumi and General Iroh. 00:49-00:50 We see Unalaq again shrouded by a blue light as he walks forward. I’m getting major vibes that he’s a bad guy for some reason. Maybe he’s a little jealous that his brother is the one who gave birth to the Avatar? 00:51-00:53 Now we see Tenzin air gliding around a waterfall. He has some strange light in his hands, maybe a lantern since this is at night. We are definitely at the North Pole, since that waterfall looks exactly like the ones we saw in Avatar: The Last Airbender. There’s something going down the waterfall, but I honestly can’t tell what it is. It almost looks like some kind of boat. We also see a figure on a rock, but I can’t make out who that is at all. 00:54-00:56 Next we see Mako and Bolin in what could be the North or South Pole. They are running towards an odd light with tendrils. They run into the light and vanish, leading me to believe that this is some kind of portal to the Spirit World. 00:56-00:59 Immediately, we see Korra and Jinora (Tenzin’s oldest daughter) meditating by a tree. As they sit, Jinora is covered by a green aura that isn’t around Korra. The scene changes behind them to reveal the Spirit World, a light green hill with odd vegetation. It looks like Korra has found a way to transport her friends with her to the Spirit World. I’m excited that this season will be using Jinora more, as she is bound to be a great addition to Team Avatar. 1:00-1:02 The trailer reveals a dark spirit to us that is running on a hillside close to a city at night. I’m more convinced now that we’ve been seeing the North Pole all this time, since that is definitely not what the South Pole looked like in Book 1, plus it makes sense that the North Pole is more technologically advanced. During this scene, the dark spirit runs toward the camera at a crazy speed. 1:02-1:04 Here we see Korra going into the Avatar State. Behind her is a fence and what appears to be some kind of festival, though we can only see huts. We see her levitating as she transitions. 1:04-1:05 The scene then changes to a murky body of water as Korra rises out of it, much like she was moving in the last scene, though there’s no scenery connection between them. This is a setting we haven’t seen in the trailer yet, though it could be related to the blockade. 1:06-1:07 Next, we see a battle between two small ships at night. This is a tough scene to dissect since it’s so dark, but two things are clear. One of the ships is using literal fire to attack the other, so it’s likely a firebender ship. The other ship reveals a blue logo on its back, suggesting that this is a water tribe ship. I’m trying hard not to make any assumptions, though. 1:07-1:08 The scene changes to a winter forest, and we see crystals being hurled off camera. The scene might take place in the spirit world judging by the odd shape of the trees. 1:09-1:10 Here we see Korra in a dark cave, probably in the North Pole, striking the ground, which is glowing. Judging by how icy the ground looks, this could be the spirit oasis from Avatar: The Last Airbender. 1:11-1:12 Okay, this next scene is a little trippy. We’re back in the past again during the time of the first Avatar. We see what appears to be the Spirit World as Wan discovers it for the first time. We see what appear to be animal spirits running from something in the first scene, and Wan is watching them in the background. We then see Wan close up, worried about something. We also see air currents rushing from the background towards Wan. It almost looks like something is airbending towards him. Also, he is accompanied by what appears to be his animal guide. It looks like a reindeer with odd horns and is carrying his belongings. 1:12-1:14 Now we see Korra in a forest surrounding by small, purple spirits that almost look like will-o-wisps with eyes. She begins to follow them somewhere. 1:14-1:16 This next scene shows Mako in what is probably Republic City. He is firebending against something we can’t see, and it looks like he is in his police uniform. 1:16-1:18 We then see Korra earthbending and waterbending (her hair is down for some reason) in a rocky plateau. Something weird is going on with the sky, as it is shades of purple, suggesting that this could be the Spirit World, which wouldn’t make sense since you can’t bend in the Spirit World. Some kind of cosmic event must be happening, like their version of the “northern lights,” which is why we see Korra in her warm clothes. 1:19-1:20 Here we see two waterbenders gliding down a cliff with ice casings around their feet. The setting looks similar to the one we just saw with Korra. Though we can’t see the face of one of the benders, we know that the other is Eska or Desna, Korra’s cousins. They’re fraternal twins, and it’s likely that this scene shows both of them. 1:20-1:23 Next, we see Korra falling down a waterfall in a cave. This could be the same waterfall we saw earlier with Tenzin, but the scenery looks different. 1:24-1:26 Yay, it’s Jinora again! Here, she is riding a flying spirit over what looks like the Wan Shi Tong’s Library from Avatar: The Last Airbender (and I just realized that the first Avatar is named Wan, like the Owl Spirit). We can see a figure on the walkway, but I can’t tell who it is. 1:26-1:27 Now here’s a beautiful shot. We see a fleet of United Forces ships with the sun rising on the horizon. I’m so excited to see how far they push the visuals this season. 1:28-1:30 Back to Mako! Here we see him fighting something off-screen in front of the glowing tendril portal that we saw earlier, but Bolin isn’t here at the moment. Still, this is definitely what was going on right before they jumped into the portal. 1:30-1:31 Ugh, the trailer is being repetitive. We’re back to that scene where Korra (with her hair down) is waterbending in that North Pole plateau with the strange lights. 1:31-1:32 Next we see Asami driving a boat in Republic City with Mako in the back seat. Asami swerves the boat and we see Korra flying in the air right behind her. I can’t really tell what just happened, but it seems like Asami swerved to avoid Korra. 1:32-1:33 Now we see Wan in the Spirit World again facing a giant spirit frog. I have a feeling his arc is going to be pretty interesting. 1:33-1:34 It’s Wan Shi Tong! We see him land in front of Jinora, as intense as ever. Is he the spirit of Wan, the first Avatar? Or is he a spirit named after Wan? It’s hard to tell, but an interesting catch is that Wan Shi Tong says he is “the one who knows 10,000 things” in Avatar: The Last Airbender. Is there a link between that and how Wan existed 10,000 years ago? 1:35-1:37 The scene cuts to Wan (interesting) firebending at those air currents we saw earlier. They look like air dragons here. If he’s firebending, then either you can bend in the Spirit World, or we were never there in the first place, and that last scene was just weird-looking animals running from spirits. 1:37-1:39 Here we see Tenzin and his siblings, Bumi and Kya, being pushed off of a cliff by a red spirit we haven’t seen yet. It almost looks like the one we saw in the library earlier with Jinora. They look like they’re in the Earth Kingdom here. 1:39-1:41 The scene changes to Korra in some kind of Avatar vision. She’s surrounded by a purple aura in the starry sky. This is very similar to what Aang saw when was mastering the Avatar State with Guru Pathick in Avatar: The Last Airbender. We see other Avatars flashing before her. First we see Roku, then Kyoshi. 1:42-1:45 Next we see a giant crocodile spirit chasing Korra and Jinora underwater in the Spirit World. It pretty much swallows them before the scene cuts. 1:46-1:47 We then see Korra staring at something offscreen in the middle of the day. We see shards of what appears to be ice and/or water falling around her. 1:47-1:49 This scene shows Mako doing police work in Republic City. This is part of the scene where he catches a group of bending criminals in a truck. He slides his motorcycle in front him since he’s, well Mako. 1:49-1:51 Here we see a strange, yellow light expand and explode like fireworks in a forest. It looks like Korra is underneath it, but I’m not sure. Tenzin, Bumi, and Kya are watching from the side. 1:52-1:53 This is a quick shot of Bolin in a winter forest like the one we saw before. He is clearly fighting someone, possible near that spirit portal. 1:53-1:54 Next we see Eska and Desna waterbending on a body of water, very similar to the one Korra was levitating out of earlier in the trailer. 1:55-1:59 We then see Wan getting hit by what looks like spirit energy and it’s going right through him. This looks just like the spirit energy Aang used to “spiritbend” in Avatar: The Last Airbender, when took Ozai’s bending away. This is likely the process for how Wan became the Avatar, the first bridge between the human and spirit world. 1:59-2:00 We then see a quick shot of Korra doing bending forms in front of a tree, similar to the one she and Jinora were meditating in front of. 2:00-2:01 Here we see Unalaq again fighting against an unseen firebender. He’s inside what looks like some kind of prison. This is also another allusion to a possible conflict between water and firebenders, or it could just be Korra and/or Mako being at odds with him. 2:02-2:04 I definitely love this scene where we see Wan being the Avatar. He is between what looks to be humans and spirits who are probably in the middle of a conflict. He rises in the air, bending every element in an orb, exactly like the one Aang used to defeat Ozai in Avatar: The Last Airbender. We now know that Aang called upon Wan’s experience when he defeated Ozai. 2:04-2:10 The last scene! It’s a bit confusing. 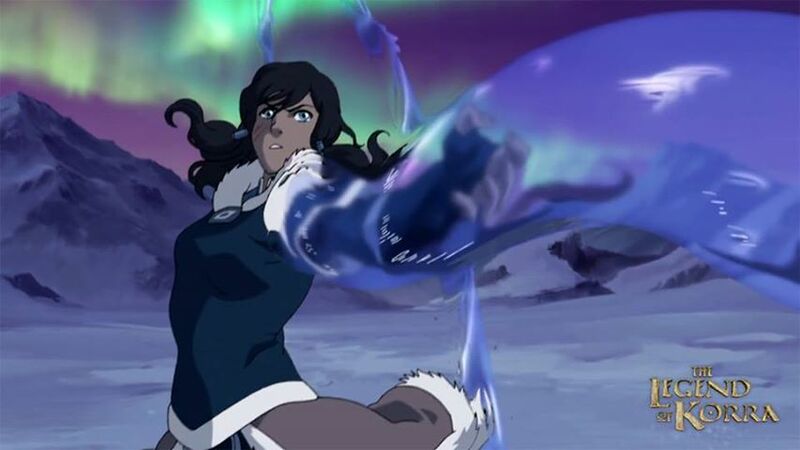 We see Korra in her Republic City attire touching a ball of spirit energy in what looks like the plateau from earlier. What’s weird is that her clothes indicate this is a scene removed from the plateau scenes we saw earlier, since she was wearing her warm clothes in those scenes and had her hair down. But the lights in the sky look exactly the same. I’m not sure what to make of this scene. As Korra touches the ball of energy, she goes into the Avatar State and the trailer fades to black, telling us that the season will be starting in September. I have to say this is not my favorite trailer from the Avatar series. For one thing, it was missing the iconic soundtrack they’ve used throughout the series and replaced it with a somber one that changed little throughout the trailer. 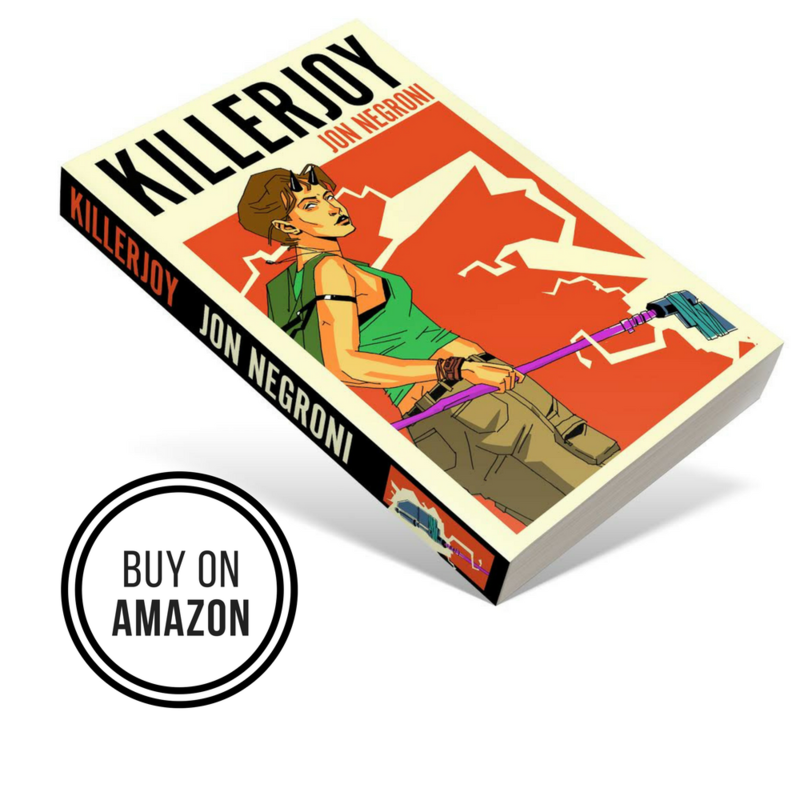 Some of the scenes were odd or didn’t really fit, but I was pleased by all of the revelations. The scenes with Wan and Wan Shi Tong (if they’re not the same person) were the best, but the Korra scenes were pretty lame and underwhelming. Still, I’m glad we got to see something besides dark spirits, and we definitely learned a lot about what the plot will be focusing on for Book 2. I can’t wait! The track was 100% the best thing going on about this trailer. Such a beautiful and strong piece of music. This is zek different question what happened to zuko’s mom? I don’t really know the story maybe an overview of what happened would help. Actually there’s a comic about that, it’s Avatar the Last Airbender: The Search. Perhaps Wan has teh ability to bend in the spirit world? Regardless, I’m extremely excited for this. When I saw this trailer I was literally salivating. I cannot wait! I hope Koh the face-stealer makes a reappearance this season. Also, the trailer music is in book 1; when tarlock explains his past and about amon. I wish there were more drums or something though like the first seasons’ music.